Want to drop a dress or pants size? Then losing five kilograms, or about 5% of your body weight will help that zipper start to close with ease. In case you need another reason, keeping a small amount of weight off in the long term can halve your risk of developing type 2 diabetes. The challenge in shedding the excess kilos is how to minimise feelings of deprivation and suffering. 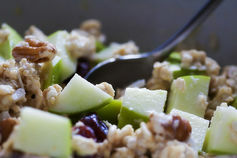 One approach is to swap some of your usual food and drink choices to lower-kilojoule, but equally tasty, alternatives. Removing 2,000 kilojoules a day (about 500 calories) from your current eating habits is enough to trigger gradual weight loss. Aim for a weight loss of 0.25 kg to 0.5 kg a week. How much your weight changes depends on whether you are currently gaining weight or you are weight-stable, but it should be between 0.25 kg to 0.5 kg a week, or three to six kilograms over three months. Making changes that you can live with long-term means you won’t notice much difference to your daily routine, but before you know it, your clothes will start to feel loose. 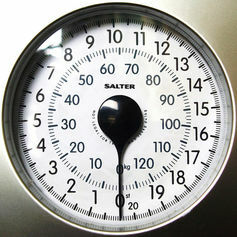 Knowing how many kilojoules your body needs each day is important for weight control. The average adult needs about 8,700 kilojoules (kJ). Check how many kilojoules are right for you at this site. Now subtract 2,000kJ off this number. Then try an app like Easy Diet Diary or a paper diary to monitor your daily kilojoule intake for at least four days to see how your usual intake compares to your ideal intake. People who are good at keeping track of their kilojoules lose more weight and are more likely to keep it off in the long term. 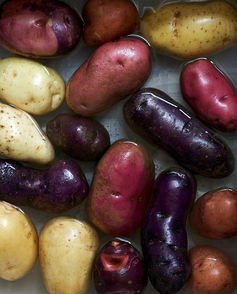 Steamed potatoes are a good alternative to kilojoule-laden fries. Use a kilojoule counter to learn the kilojoule value of the foods you eat and work out which high-kilojoule foods you could swap. A large serve of fries, for instance, contains over 2,000 kJ. Ditch the fries and learn to love steamed potatoes instead. Sometimes a size adjustment is all you need to save the kilojoules. Serving large portions leads people to take bigger bites and eat faster. A recent study found that adults ate 2,100kJ less when they were served a smaller portion of chili-con-carne with rice. When served a 300 gram portion, they consumed 1,700kJ; when served a 700 gram portion, they ate 3,800kJ. So dish up smaller serves and eat slowly. Switching to smaller dinner plates means you wont notice the serve size shrinkage. Eating bigger portions of salad vegetables, that are low in kilojoules helps to displace energy-dense foods. This means you can eat satisfying meals without gaining weight. 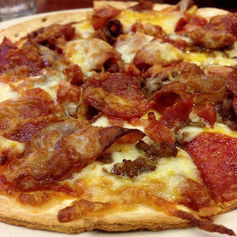 A whole meatlovers pizza contains around 5,600kJ. Instead of eating a whole BBQ meat lovers pizza at over 5,600kJ, cut back to just two or three slices, this saves over 3,000kJ. Add a leafy green salad for just 30kJ. Use big bowls for salad; it means you will eat more of them and it helps you to load up on phytonutrients. Banana bread might sound healthy but it can contain as much as 2,500kJ. Take a real banana, at about 400kJ, in your lunch box instead. This is a very easy way to save 2,000kJ. A review of strategies to prevent weight gain found that people who eat fewer meals prepared away from home gain less weight. Eating out two or more times per week is associated with greater annual weight gain. This isn’t surprising when you consider that a Kentucky Burger Boxed Meal has more than 4,700kJ compared to a homemade chicken salad sandwich, with an apple and a soda water at about 2,000kJ. Next time you find yourself confronted with an all-you-can-eat buffet, go for the fruit and vegetable dishes first. Walk past the bacon and eggs to the fruit and muesli. In a study of people serving themselves from a seven-item breakfast buffet, researchers found most people choose the first foods they see first and take more of these items than those at the end of the buffet table. When the researchers served the the high-kilojoule foods – cheesy eggs, potatoes, bacon and cinnamon roll – first, diners also took over 30% more total food. 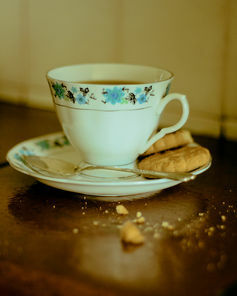 Do you struggle to have a cuppa without looking for the biscuit barrel? The first trick is to keep the biscuits out of reach; out of sight is out of mind. Save yourself by stopping at one. Only buy small packs and less often. If you really want one then put it on a plate, put the rest away immediately and enjoy it slowly. Researchers found that people eat fewer chocolate chip cookies when asked to serve themselves from a small rather than a large plate of biscuits. One Farmbake chocolate chip cookie has 250kJ. So save yourself by stopping at one, as the whole packet contains more than 7,000kJ. A review of 32 research studies in children and adults found that body weight increased over a year as intakes of sweetened drinks were higher. In interventions in children where sweetened drinks were substituted for zero kJ drink, weight gain was lower. 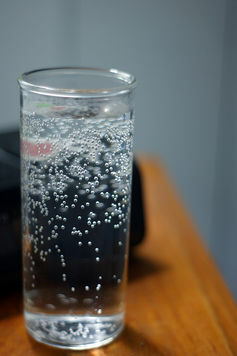 Opt for soda water if you like the fizz. Having one to two sugar sweetened drinks a day is associated with a 26% greater risk of developing type 2 diabetes compared with drinking less than one a month. When you consider that a 1.25 litre bottle of cola contains more than 2,000kJ and 30 teaspoons of sugar, swapping to zero kJ drinks (diet versions or soda water) is an easy way to enjoy some fizz but ditch excess kilojoules. A 135 gram block of chocolate contains more than 3,000 kJ. If you can’t stop once the chocolate is open, then buy a single Freddo at about 330 kJ; savour it and save more than 2,000kJ. The good news is that some chocolate can be good for your heart. A big incentive to make wise food choices is the time you can save at gym. Burning up 2,000 kilojoules from exercise takes a big effort. Exactly how long you need to exercise depends on your age, weight and the type of activity but on average, it equates to two hours of vacuuming, 1.5 hours of lawn mowing, 50 minutes of jogging or 40 minutes of vigorous cycling. Check how many kilojoules you burn from a range of activities. Being kilojoule wise consistently will help you drop that dress or pants size permanently.